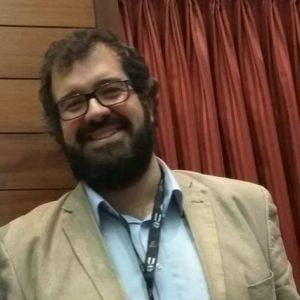 I'm a invited assistant professor and researcher at Institute of Education of Lisbon University and also teacher of Eduardo Gageiro's School Cluster. Member of Competence Center in Technology and Innovation of Institute of Education of Lisbon University. My academic qualifications include a Ph.D. in Education - Information and Communication Technologies in Education (2017), and a Master in Technologies and Methodologies in Elearning (2010), and a graduation in Computer Science Engineering (2006). My experience as a teacher started in 2004 in basic and secondary schools teaching subjects in the computer science disciplinary area. Recently, since 2010, I 'm involved as a teacher in initial teacher training programs of Institute of Education. In last years I taught curricular units of Master in Teaching Informatics such as Didactics of Informatic and Initiation to professional practice. ​My research interests include Technology-enhanced Learning, Online Learning, Informatic Initial Teacher Training, Computer Science Education, Tangible Objects Programming, Learning Scenarios Design. I'm a author or co-author of peer-reviewed papers published in journals and in national and international conferences.